Three markers in one for the perfect blend at home or on the road! 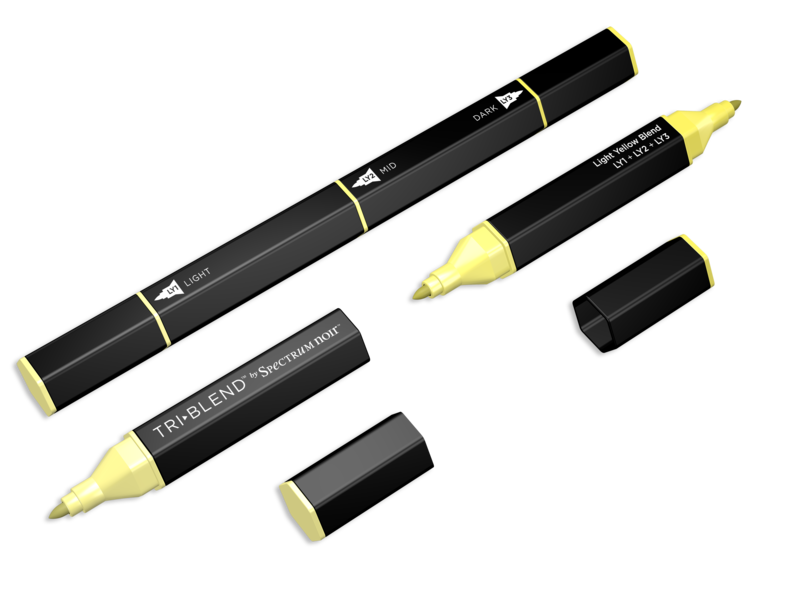 Inside every TriBlend marker is a perfect gradation of 3 coordinated colors with 3 color nibs numbered from light to dark assuring a smooth, controlled blend. Great for coloring without the guesswork of picking shades, and a great option for a travel set of markers to take your coloring on-the-go! Available in 24 color stories (3 shades per story) or in a complete box set.